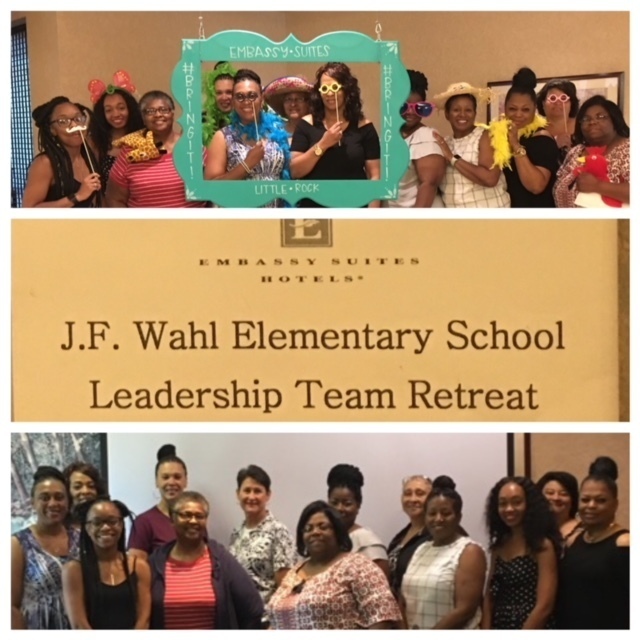 Congratulations to the JF Wahl Elementary School Leadership Team for completing the Leadership Retreat in Little Rock, Arkansas. The team received training in parental involvement, strategic planning, PBIS (Positive Behavior Incentive System), curriculum, school culture, TESS (Teacher Excellence and Support System), and leadership. Thanks to the Arkansas Department of Education, our administrators, counselors, and teachers who helped to make this retreat a success. See you next year!